All sorts of useful information will be appearing here and changing on a regular basis. Fire Risk Assessments and WHO IS the COMPETENT / RESPONSIBLE PERSON ? (ii)the owner, where the person in control of the premises does not have control in connection with the carrying on by that person of a trade, business or other undertaking. 9. (1) The responsible person must make a suitable and sufficient assessment of the risks to which relevant persons are exposed for the purpose of identifying the general fire precautions he needs to take to comply with the requirements and prohibitions imposed on him by or under this Order. 41. (1) In regulation 4A of the Safety Representatives and Safety Committees Regulations 1977(1) (employer’s duty to consult and provide facilities and assistance), in paragraph (1)(b), for “or regulation 4(2)(b) of the Fire Precautions (Workplace) Regulations 1997” substitute “or article 13(3)(b) of the Regulatory Reform (Fire Safety) Order 2005”. (2) In regulation 3 of the Health and Safety (Consultation with Employees) Regulations 1996(2) (duty of employer to consult), in paragraph (b), for “or regulation 4(2)(b) of the Fire Precautions (Workplace) Regulations 1997” substitute “or article 13(3)(b) of the Regulatory Reform (Fire Safety) Order 2005”. Can You Defend yourself against any action if you have not written a risk assessment, carried out any regular reviews of an assessment and/or not taken any action where required by the assessment/review? Why stop at life safety? asks Mike Floyd (FPA), who calls to attention and account all short sighted 'bean counters' on matters of property fire protection. BUSINESSES NEED premises, whether it’s offices, shops, factories or warehouses. Not surprisingly, new businesses struggling to start or keep going place the fire safety of buildings fairly low on their priorities, especially if rented or leased. They would usually assume that such responsibilities mainly fall on landlords. A basic life safety fire risk assessment would keep them within the current legal guidance if any shortcomings and other recommended actions were carried out in discussion with the managing agent. Only at the more industrial end of activities might any extra insurer provisions be requested. As a company grows in size, confidence and profitability, this emphasis should steadily change. A point will be reached when a new build is required for its specific needs. If the company plans to operate from a single location, the impact of a medium to severe fire should be viewed as potentially catastrophic. Part of this lack of interest or awareness of fire on business operations arises because principal decision makers delegate such matters to the ‘accountancy’ department. They seem to concentrate on the big picture as they see it – which is to grow the turnover, increase profits and reduce costs. A target of getting the building that is required for the lowest price is usually set. Only life safety requirements will be required in most cases. Although a legal requirement, this still seems to be only an aspiration in many parts of the building industry, where possibly it is only the drawings that ever achieve such unreasonable levels of detail. Substitution of specific fire products and systems by allegedly equivalent products is quite common and it is still fairly rare for these to be installed by competent persons. up for the least cost to the point of handover. (b) The facilities management camp wants a building that has low running costs, is easy to maintain and will not have its day-to-day operations disrupted by fires. Many reasonably large PLCs still operate in this way with no director being responsible for both (a) and (b). Therefore, as soon as the building is delivered by camp (a), at a very competitive price, it can then wash its hands of the building and push on to the next job. Camp (b), however, gets the bargain building dumped on it, probably with lots of snagging as it is still unfinished. In terms of fire safety, these will be the problems that Niall Rowan (see The right protection, FRM March 2017, pp20-22) and I (see Course of action, FRM March 2017, pp16-19) covered recently in our articles on passive fire safety in this magazine. In addition, the fire alarm might not be properly commissioned; while the emergency lighting could be underspecified and the fire extinguisher numbers overspecified in many cases. Quite soon also, camp (b) starts to receive larger than wanted maintenance costs in many areas – not just those related to fire safety. The premises delivered by the camp (a)-only process is not required to be fire resilient beyond staying up long enough to enable safe escape, unless there has been an insurer stipulation. In recent years, the term ‘sacrificial building’ has arisen for this approach, especially in instances where companies have several premises with partly overlapping or duplicate roles. This allows the gamble that, even if a total loss ensued after a fire, the work process can continue elsewhere without too much disruption. No specific provision is needed for protection of the company assets or for business interruption in the design and fire containment ability of the compartments. Obviously, the life safety baseline gives an initial resistance to fire spread from reaction to fire aspects. Wall and ceiling linings should be Class 1 in rooms, so that electrically started fires in power and lighting at these interfaces do not spread rapidly to other sources of fuel. Escape routes jump to Class 0, so that all such linings additionally have limited combustibility. This should keep the fire load in escape routes to a safe low level if occupiers do not use such spaces for storage and other furnishings. Small fires can be safely tackled while they are still small. The FPA has backed this approach for many decades, and run courses for fire wardens to be equipped with suitable knowledge and practical experience, including recognising when such action would be dangerous. As so few buildings have any active fire suppression measures, such as sprinklers or water mist, untackled small fires soon become bigger fires. Some advisers in the health and safety arena do not share the FPA approach and view staff action with extinguishers as too risky. They advocate either removal of the extinguishers, or that staff only use them in the worst-case scenario. This could be to escape from being trapped by the fire, possibly in a single escape exit building. Certain fire and rescue services also share this view; however, none of them can seem to give the location of the vast cemetery dedicated to have-a-go hero fire wardens who were killed putting out a small workplace fire. It might be safer for someone who finds a fire on a lower floor to just press a fire alarm call point and leave. What about their colleagues on much higher floors, possibly with mobility problems? Of course, such issues should have been properly evaluated in the fire risk assessment and very few people are now injured or killed as a result of such fires at work. We are very thoughtful to our employers and go home to get killed in fires there instead. This does save them a lot of paperwork. Premises of this type rely on insurance to cover small or medium losses, and lots of luck. Fortunately, a good fraction of small fires do not escape the room of origin to do further damage elsewhere. Even if business interruption insurance is taken out, more serious loss from a major fire cannot really be fully managed. 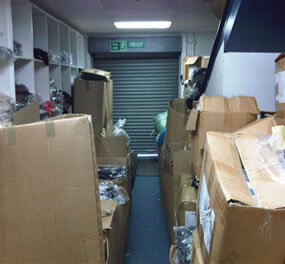 Few companies are sufficiently organised to have a list of available premises suitable to move into after such an incident, let alone re-stock, replace IT capabilities and keep clients serviced. Business failure is a real possibility. The emerging pattern in workplace fires is that fewer occur, but that the overall cost is at best steady or even rising. This currently stands at over £7 billion on 2015 estimates. Therefore, the cost of each fire must be higher, either through greater building damage or larger consequential losses from business disruption. Part of this may have resulted from the reduced attendance to fires by many fire services until fires are confirmed. This is particularly troublesome if fires occur out of hours, so that key holders have to attend the premises to make such confirmations. Combining the money consumed by camp (a) and camp (b) for the predicted period of occupancy can produce many benefits, not just in fire safety. The jump in cost of the life safety-only building to one that additionally has a much greater level of business resilience is frequently quoted as about 2%. example of how to avoid having any fire growing beyond a very modest size. The technology is close to 200 years old, proven, and not as expensive as frequently claimed by its opponents. Unfortunately, many people get their knowledge of sprinklers from TV adverts such as Holsten Pils or Lynx, and believe that all of the sprinkler heads will operate from the slightest whiff of smoke or a fire alarm call point being pressed. A director of a fire alarm company on one of my courses some years ago, was very surprised when the true picture was explained! Insurers for schools have often offered a very cost effective route to build or re-build a school that is fully sprinklered without any additional cost. The school simply carries on paying the non-sprinklered insurance rate it had been used to. The difference in premiums between that and the sprinklered rate will cover the installation costs after a modest number of years. Then the school pays only the lower premium. Surely this is a completely win-win situation for both parties? What is commonly overlooked is the trade-off given by guidance in Approved Document B of the Building Regulations (ADB) against structural fire performance time figures if a sprinkler system is present. Additionally, compartment sizes can be increased, typically to twice the size, offering more flexible layouts without a fire barrier and fewer costly fire doors. Reliance on fully functional fire doors in high traffic or abuse environments is very risky. 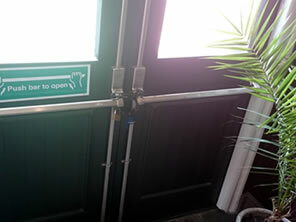 In a school or hospital, it is common to see broken fire doors awaiting repair. Another approach to improving the design of a building above that of life safety only, is to use the guidance in a special version of ADB, Approved Document B: Fire Safety (Volume 2 - Buildings other than Dwellinghouses): Incorporating Insurers’ Requirements for Property Protection (2nd Edition), produced jointly by the FPA’s RISCAuthority and the Royal Institute of British Architects (RIBA). RISCAuthority conducts research with a view to influencing and augmenting mandatory requirements for loss prevention and protection. This aims to ensure business resilience is included in the overall protection strategy and that, in the event of fire, more happens following successful evacuation to ensure the ongoing viability of the property and the business conducted within it. In essence, the guide provides the design community with a practical and easy-to-use shortcut to meeting the requirements not only of the Building Regulations, but also of clients and their insurers. In the guide, the extra measures needed for property protection and business resilience are combined with the essential life safety measures that are required by ADB. Each chapter and page of the RISCAuthority/RIBA guide mirrors those in the original government ADB, essentially reproducing it in full, but enhancing it with comprehensive annotations by RISCAuthority (enhanced measures appear in a highlighted box next to the original text). The measures range from advising enhanced performance, in terms of fire testing times for various elements, such as fire break walls, fire doors and glazing, plus structural features. Some of these upgraded features, such as better fire doors, can also result in lower maintenance bills. Many 30 minute fire doors are only designed for light duty applications and cannot take the stresses of high traffic without being damaged or falling outside their adjustment limits. 60, 90 and 120 minute doors are usually more durable. 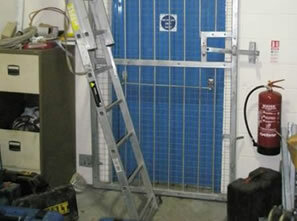 Steel doorsets rarely need re-gapping, as the sealed hinges are usually welded to the frame and leaf. Heavy duty closers and latches only require infrequent adjustments. It would be much wiser for all those involved in building specifications for design or refurbishment to strongly consider some or all of the measures suggested above. The cost to improve building resilience may not be excessive in many cases and other benefits may follow. If lifecycle analysis of cost can be estimated, many such measures should become attractive to the bean counters, especially when payback times are reasonably short, matching various capital tax write off limits. Directors and other board members must be held accountable for decisions not to take such measures if a valuable building is avoidably lost through fire, or if business interruption costs become excessive. Failure of businesses following a serious fire continue to be quoted at around 20%. Home Security Month..How & Why House Burglary Happens. "Didn't want to use that door anyway"
"First one to open this door wins a prize"
the same colour as the ceiling"
By following some simple steps you can help prevent your business from going up in smoke. You should start by having a detailed fire risk assessment carried by a professional, or competent person then taking the necessary action to reduce the risks they have identified. Protecting your business isn't just about preventing an attack. It's also about containing the fire, preventing the fire from spreading, and alerting the fire services. Secure your building. Consider the use of a Professional Security Consultant. Are door and window locks in working order? Is your outside storage and bin area secured? If your location allows it, you might want to consider installing perimeter fencing, too. 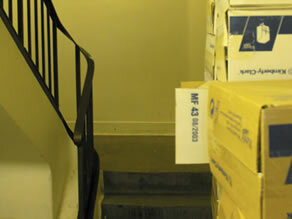 Fill any gaps between your doorway and the ground so that nobody can slide a lit piece of paper through. It's also smart to fit a metal container to the inside of your letterbox. This will contain any lit material that's posted through. 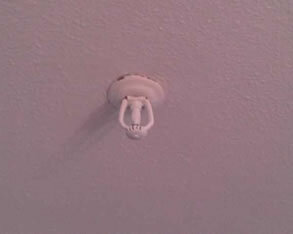 If your building is unoccupied for large periods of time, it might be worth installing a sprinkler system. 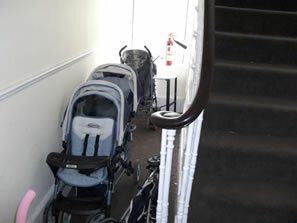 Whatever steps you take, though, should adhere to your fire risk assessor's recommendations at the very minimum. How can Jupiter2000 help you to keep your home, business and staff safe?